Experienced auto salespersons use many strategies to sell cars. Some of the most common auto sales tactics result in you paying more for a car that’s less than what you want or need. Selling the monthly car note or lease payment, instead of the sticker price, is one of the most popular and effective tactics to get people to buy vehicles that aren’t quite what they want. When you fall victim to the monthly payment con, you could end up paying more for a car than you would if you had focused on the sticker price. Or, you could drive off the lot only to find that you could have gotten a newer, bigger, better vehicle elsewhere for the same monthly payment. How many times have you seen a print, online, or television ad showing the exact vehicle you want? But when you arrive at the dealership, you find that they just sold the last one in stock. “But let me show you some of our other great vehicles,” the salesperson will say. “Bait and switch” is an effective marketing and prospecting tool. 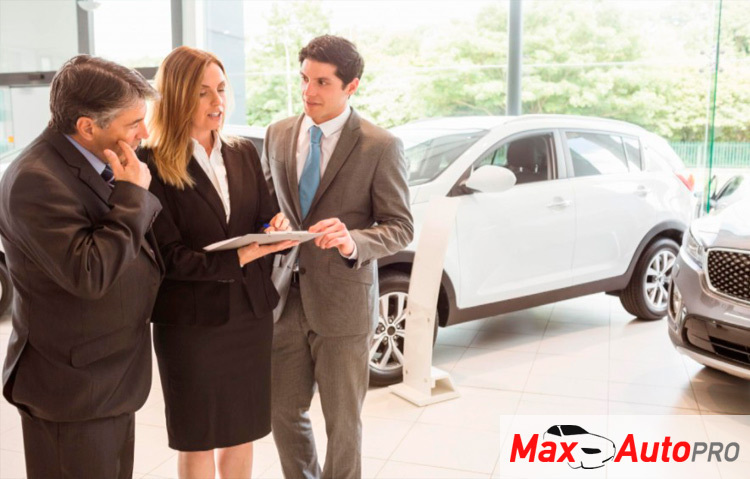 If you call a dealership to ask what’s in stock, the salesperson will ask about the features and trim level you’re looking for and will say they have just a few left in stock that closely match. When you show up, they tell you they’ve both been sold,.They’ll have other models that don’t meet your needs but come with great incentives, sales, and special financing to reel you in. Car salespeople are masters at using time as a tool or a weapon. Typically, you’ll spend a lot of time waiting for the salesperson to bring a car up for you to test drive. You’ll also spend time waiting for a manager’s price approval if you make an offer. The point is to wear you down and tire you out to the point that you just want to buy your car and drive home because you’ve got other things to do. This is what you’ll hear as soon as you tell the car salesperson that you want to think about it, do some additional research, or check other dealerships. The goal is to induce fear and a sense of urgency. Every car salesperson knows that every buyer has a sweet spot. If they can find yours, they’ll make the sale. That’s where the conditional or alternative strategy comes in: they try to get you to buy today by offering a certain price or feature. Consider the psychology at play here. If they can get you exactly what you want in terms of price, color, body style, and features: would you really say no? 6. My manager just wants to say hello. Then, the manager will give you the express version of tactics one through five. Don’t fall victim to car sales tactics. Avoid all this hassle by starting with a clear-cut agenda. Let them know you’ll test drive a vehicle today and return later to talk price. Rather than be held hostage all day in the dealership, tell the salesperson to call you or send you an email when they get a price or financing approval, or when they find the exact model and trim you want. Finally, don’t be afraid to walk away. If they have your contact information and really want to sell a car, they’ll call you back.